Send anything - text-photo-audio-video with Rocket Messenger - fastest & safest! 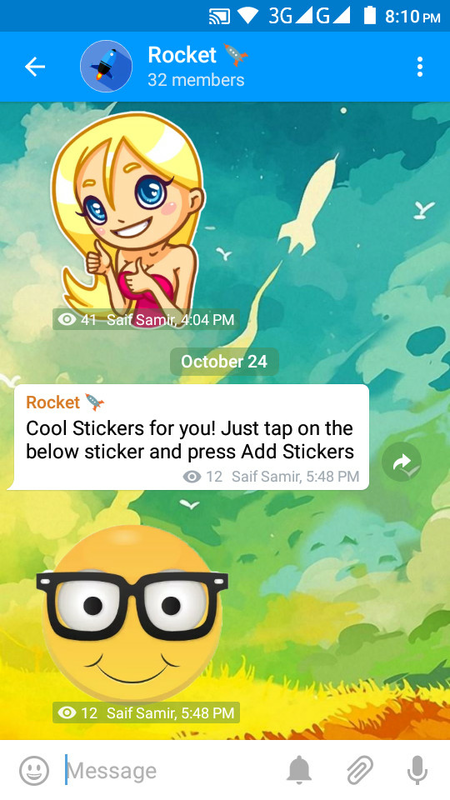 Rocket Messenger - the most beautiful Telegram messenger! Send/Receive Telegram messages with Rocket Messenger! Rocket has more features than any other app! ​Rocket delivers messages faster than any other app. It is the fastest messaging app for free. ​Nobody can read your messages. Rocket keeps your messages safe from hackers. Your data is heavily encrypted, can't be hacked, intercepted or be stolen. ​Tip: Enable two-step verification in the settings for highest security. In the app menu, go to Settings -> Privacy and Security -> Two-Step Verification. Quickly share large videos, Mp3s, documents (doc, pdf, zip, apk, etc. ), and send an unlimited amount of photos to your friends. Rocket lets you share large files up to 1.5 GB in size. Express yourself with custom sticker sets and fun emojis. Use #hashtags to easily find related messages and media. Use @username to mention people in groups. ​You can edit messages even after sending them. Simply tap on the message and choose Edit. You can format (bold, italic) your messages with @bold bot. Just type @bold in the chat. Add robots to make your chatting fun and unique. 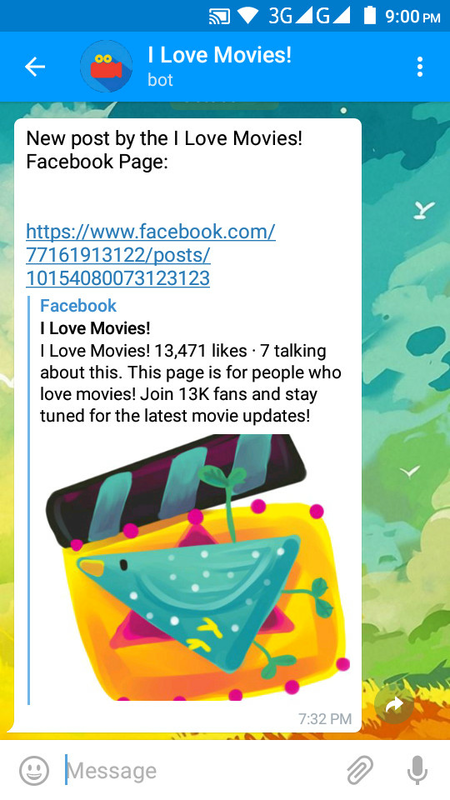 Inline bots can help you with dozens of different tasks, like quickly sending GIFs, pictures from the Web, YouTube videos, Wikipedia articles, etc. 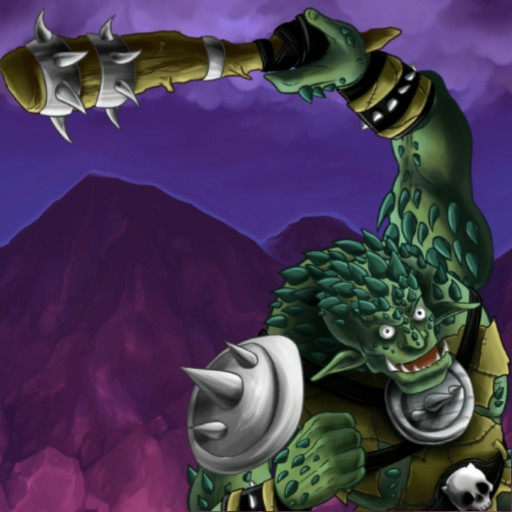 Several sample bots for you to try out: @gif, @vid, @pic, @bing, @wiki, @imdb, and @PollBot. Simply type one of the bot @usernames in the message field in any chat, then after a space type some keywords (e.g. @gif Cat). The bot will offer you relevant content. Tap on an item to instantly send it. Rocket offers secret chats for maximum privacy. With a timer, messages/photos/videos/files can disappear (self-destruct) from both sides after the set amount of time. In secret chat, when you delete a message or entire chat, it will be deleted on the other end too. 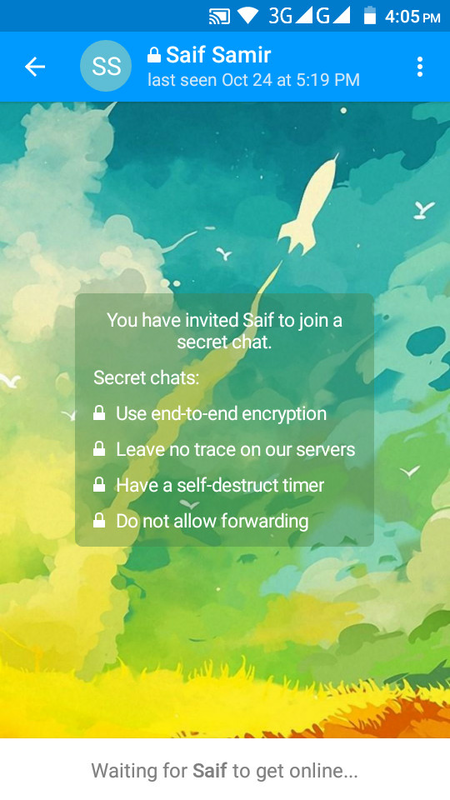 Secret chat is very useful to exchange sensitive information. You can create group chats with up to 5000 users and broadcast your ideas and thought to your whole contact list. Friends and family can have fun. Students can do group discussion. Business can enjoy feedback from customers. Create public or private Channel. Channels are a way of broadcasting your messages to large audiences. Channels can have an unlimited number of members. Celebrities can keep in touch with fans. Bloggers/activists can broadcast their thoughts. The possibility is limitless. ​You can join our official channel @RocketApp to know cool tips & tricks. Your chat history won’t require any disk space on your device. All chats and media will stay in the Rocket cloud for as long as you want and can be re-downloaded. You will never lose your data even if your phone is broken or stolen. 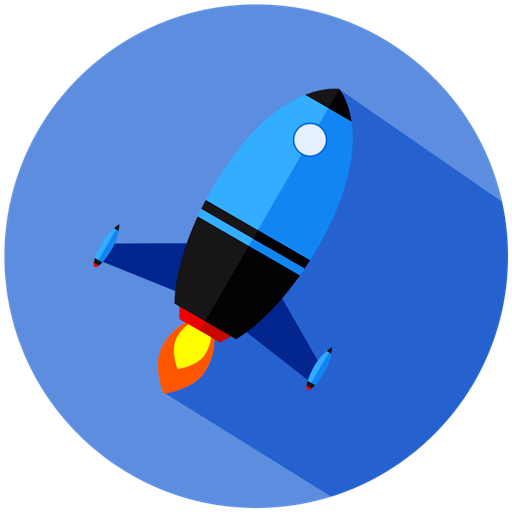 Rocket is feature-rich than any other messenger app. It has a powerful media player, and image editor for a great user experience. Invite anyone to chat with you in Rocket without sharing your phone number. Just share your @username. Rocket lets you access your messages from multiple devices at the same time. Open external links within the app. 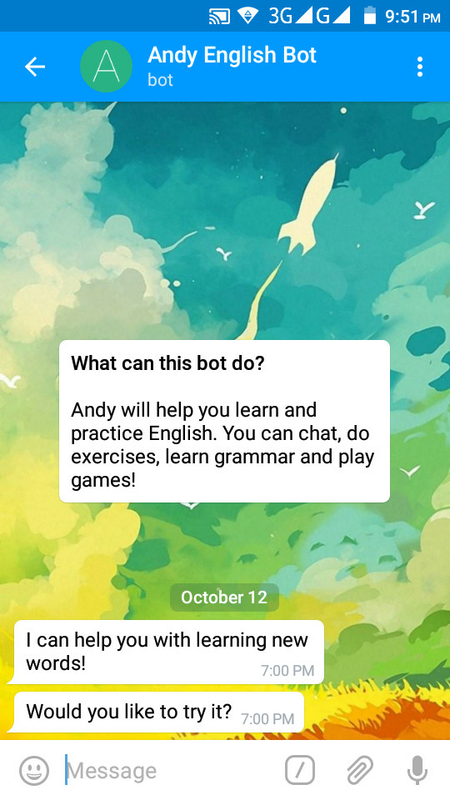 Non-native English speakers can practice English with a friendly robot @AndyRobot. You can chat, learn new words, study grammar and play games. Rocket uses Telegram APIs and cloud servers around the world to power its users.